We are wrapping up a week of fun at the beach. I am a little (ok, a lot...) depressed about going back to real life. I finally feel like we have a good routine going... so I think I could handle staying in paradise a bit longer, but we're headed back to the real world soon. Fortunately we have loads and loads of fun things happening next week so there is NO WAY that we'll be feeling the typical return-from-vacation-depression that I usually feel. Will you be joining in the fun? 1. 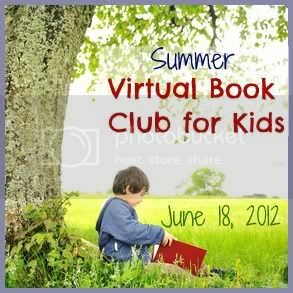 Toddler Approved's Summer Virtual Book Club- We're joining with 20+ bloggers and will be featuring books by Mo Willems in June. You can read more about the details here. The linky goes live on Monday, June 18th, so if you're participating, get your posts ready to link up! Or if you don't have a blog, come share your favorite Mo Willems book and activity on our Facebook page next week. 2. Readathon 2012 with MemeTales- We're joining with MemeTales and PBS Kids to combat summer slide and get kids reading even more this summer!! Kids will be able to 'borrow' books each week via MemeTales AND will have access to loads of activities. In addition to losing knowledge during the summer, as kids are off of school, research also says that kids lose access to school meals and healthy physical activities. Which is why, for every child joining the Readathon, MeMeTales is donating a meal to a send a hungry child to school via FoodForEducation.org. Stay tuned as we introduce next week's theme at the beginning of next week and share several of the books with you! 3. 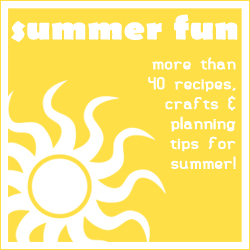 Free Summer Fun eBook- If you missed my post earlier this week, head back over and check this out! 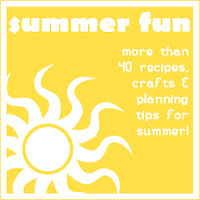 You can download a FREE Summer Fun eBook courtesy of Life Your Way starting this week and continuing into next. Don't miss out! Alright, so now that you're up to speed on upcoming events, here are three of our favorite beach and pool activities that were shared on the Kid's Co-op last week! Such a fun sensory activity! 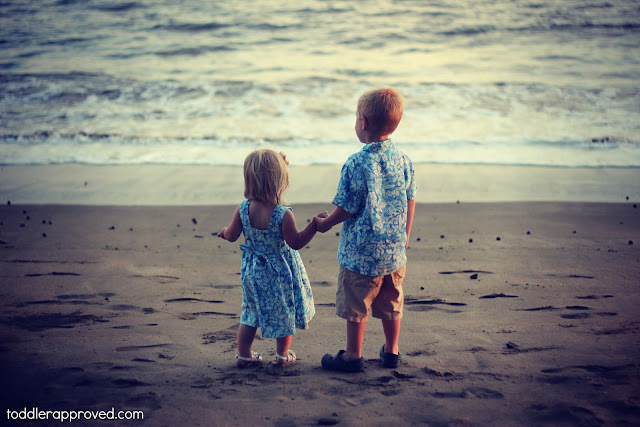 Sometimes the simplest activities are the most loved! My kids are going to want to make something like this when we get home from the beach! Do you have any favorite activities that you do at the beach or pool? What a wonderful site! Thank you so much for featuring our shell sorting! The boys had a blast and love getting out their sorting trays for this activity. My younger guy ( just turned 2yrs) is really into sorting colors at the moment...so I am sure I will be blogging about that soon! Thanks again!! !